Heading off to uni can literally feel like you're leaving home forever! But, you're really not. Your stuff will still be at home and your room will still be there. Pack smart. Halls aren't known for their generous space and you don't need everything you think you do. Remember, you can always go home, there will definitely be shops where you're going and there's always that magical thing called the post if you forget anything! Here's our pretty comprehensive list of everything you will definitely need in your first term at uni and beyond. 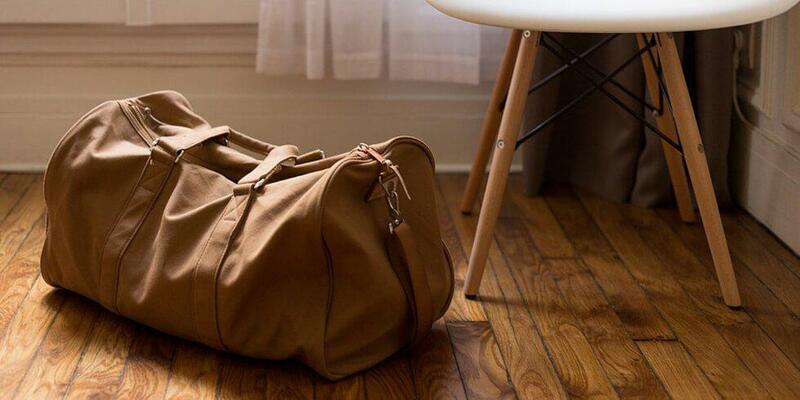 Think used cardboard boxes, packing tape and space-saving luggage for most of your stuff, packing everything into individual tote bags is a recipe for disaster! Passport/Driver's License for ID and set of four passport photos - useful for filling in forms and applying for societies etc. Contents insurance documents and your National Insurance number. Student loan information, bank cards, bank details for logging in/security codes and a chequebook. In pride of place in your room will be the shrine that is your desk! Make sure you've got everything to pimp it up and keep your studies in check! Laptop or desktop computer. Did you know we have a few cheeky offers on these, check out Apple, Dell, Microsoft and HP for more info on these! Chargers - phone, tablet, laptop. Don't forget these! Printer & ink if your course requires it. Stationery. Notebooks, folders, diary/planner, pens, you know the drill! Books - But, don't buy the whole reading list until you get there as you might not actually need them all. Check out our quiz here to find out if you should buy them all. Towels, you should only really need two bath towels, a hand towel and a couple of flannels. Just make sure you've got enough so that when something is in the wash, you had spares! Try the Linea Zero Twist Towel Range from House of Fraser for serious bargains because you can save on sale with your UNiDAYS discount. A bath mat. They probably won't be provided so it's a good idea to get your own. Keep it in your room with your towels and everything else if you're sharing a bathroom, it'll be a lot cleaner that way. We love this Cat Face Bath Mat from Urban Outfitters! Laundry Bin. If you're in a shared bathroom situation, keep this in your bedroom, otherwise it's perfect for the en suite (lucky you!). Duvet, pillows and bed linen. Take two sets of bed linen so you can alternate and have a spare when you're washing the other duvet cover, sheet and pillow cases. Extension lead. It's almost guaranteed that the sockets in your room will be in a really awkward place so make sure you take an extension lead and maybe a few double plug adapters to make your life a lot easier. Door stop. Those halls doors are heavy as they're meant to be fire doors usually so you'll need a door stop if you want to keep it open. Soft furnishings including a few cushions and a blanket and anything else you want to make your room feel like home, this could be a lamp, a few fairy lights, some photo frames, you know what you'll like! Don't take literally everything from your own room though as when you actually go home, it'll feel like you're not in your own room! Don't bother with recipe books unless you have some favourites, they're heavy and take up space. Pinterest is your home for all things easy and quick in the recipe world! Pots & pans. You'll need a larger pan or a wok, a frying pan and a smaller pan ideal for boiling pasta and rice! Utensils. You'll need at least one sharp knife for cooking with - this 3 Piece Knife Set is a good buy! You'll also need scissors, tongs, a cheese grater, a bottle opener, a tin opener, a baking tray, a lasagne dish, a pizza cutter (although you could use scissors), wooden spoons and a colander. Mugs, glasses, bowls and plates. Head to somewhere where they sell individual crockery as you definitely don't need a full on 16 piece set just for you. If you want a personal mug, make sure you keep it in your room after you've used it and washed it, trust us! We love this David & Goliath BFFs Mug. Food storage tubs. These are perfect for taking lunch to uni with you and storing leftovers. These Snack Boxes from iWOOT are perfect. Tea towels are always an essential too. We'd usually recommend getting the cheapest ones you can because you'll probably end up having to replace them but this Gemma Correll Pug Tea Towel is too cute to say no to. Grab it from Ohh Deer! Food supplies. Grab some first night essentials if you haven't done a big shop before you arrive. Tea, coffee, milk, bread, eggs, bacon, cereal, biscuits, bananas are all useful to make sure you survive your first morning after Freshers. Laundry detergent and colour catching sheets. If you wait until you've got 100% whites or darks or colours to do a wash then you'll probably be waiting a while as it's only you to wash for! Grab some colour catching sheets and bung everything in together. Antibacterial wipes. These are your holy grail. Duster and furniture polish. For the monthly clean you'll probably do! Surface spray, washing up liquid and sponges. Clothes, obviously. Don't take your entire wardrobe as you definitely won't need it all, you can always come back and refill at home! Cold weather gear. You're heading off in September time so although it might be warm-ish now but it's definitely going to get colder so make sure you pack your winter coat and suitable footwear for the winter time! Comfy clothes. Trackies, hoodies, everything comfortable for chilling in the evenings and on the weekends. Medication, pain killers and anything else that you use everyday like contact lens solution and toothpaste. Makeup, skincare and grooming are another clear thing not to remember! Entertainment. Card games like Cards Against Humanity and your standard playing cards will definitely go down a treat during nights-in and pre-drinks. Storage solutions. Don't forget some boxes to keep things in, pots for pens and other storage necessities! Hot water bottle. This might not be relevant just yet but these can come in useful when it gets really cold and when the old monthly nightmare comes around, girls.